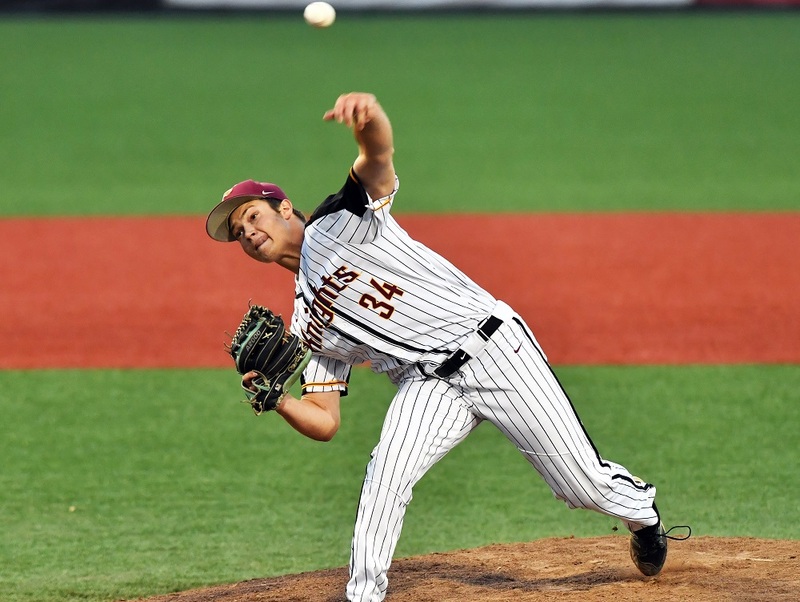 Former Knights’ pitcher Jorge Perez (pictured, above, 2012-13, 2015) is pitching for the Adelaide Bite in the Australian Baseball League. He is 0-0 with a 1.42 ERA through three games, with seven strikeouts in 6.1 innings. 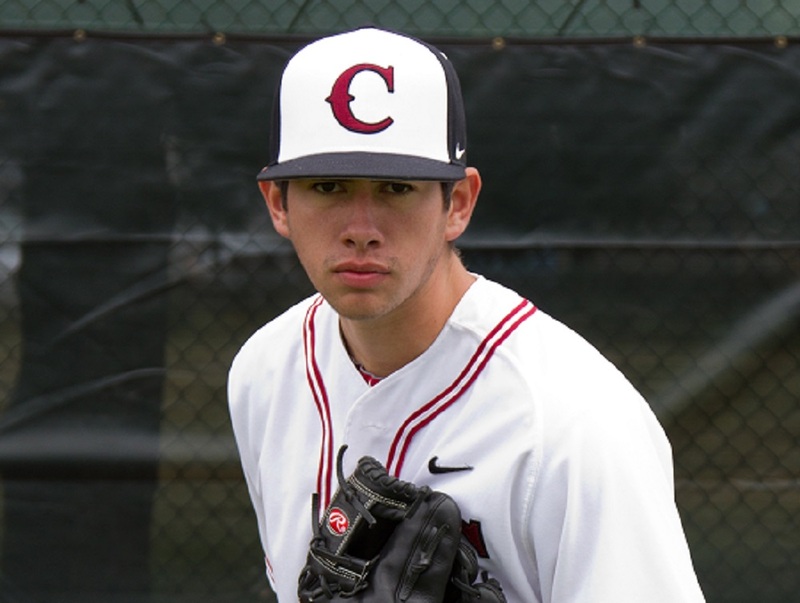 Jorge played at Grand Canyon, was the winning pitcher in the decisive game of the 2013 West Coast League CHampionship Series, and was drafted by the New York Yankees. Please click here for more news about the ABL. We are thrilled to announce our 2019 regular-season schedule. Next summer’s slate features 32 home dates and gets started at 10 a.m. on Wednesday, May 29, with our eighth annual Science, Engineering & Art Day game at Goss Stadium. After a nonleague series at the Humboldt Crabs, we open the West Coast League schedule at Walla Walla on June 4. Our WCL home opener is Friday, June 14, against the Cowlitz Black Bears. Like last season, start times for Monday-Saturday games is 6:30 p.m. Sunday games will start at 3 pm. Fireworks games will have special start times, either 7:15 p.m. or 7:05 p.m. 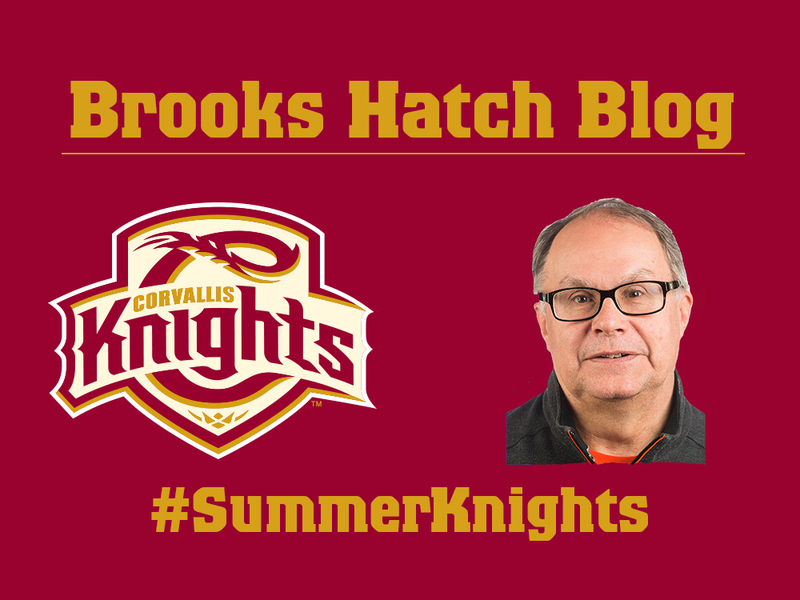 The Knights 2019 home schedule features six Thursday games, six Friday games, five Saturday games, five Sunday games, one Monday game, four Tuesday games and five Wednesday games. Reserve the best seats in the house for the 2019 season now by emailing [email protected] or by calling (541) 752-5656. Purchase your 2019 season tickets before Dec. 31, 2018 to get 2018 prices. Next year’s new season ticket prices will be announced the first week in January. MAY: 29, Portland Sea Dogs. 31, at Humboldt Crabs. JUNE: 1-2, at Humboldt Crabs. 4-6, at Walla Walla. 7-9, at Victoria. 12, Hayesville Hammers (@ LBCC). 14-16, Cowlitz. 18-20, Bellingham. 21, Gerding Construction. 22-24, at Yakima Valley. 25-27, Ridgefield. 28-30, Yakima Valley. JULY: 1, Hayesville Hammers. 2-3: Portland. 4, at Portland. 5-7, at Ridgefield. 8-10, at Port Angeles. 11, Mid-Valley Southpaws. 12-14, Kelowna. 18, Chaffey Baseball. 19-21, Walla Walla. 22-23, All-Star Game, at Bend. 24, at Portland. 25, Portland. 26, at Portland. 27-29, at Bend. 30-31, Bend. AUGUST: 1, Bend. 2-4, at Cowlitz. 6-8, at Bellingham. 9-11: Wenatchee. Our Corvallis Knights holiday sale is scheduled for 4-6 p.m. on Thursday, Dec. 13, in our downtown office on Jefferson Avenue. All merchandise will be marked down to $13! Nike West Coast League Championship tee-shirts are available by clicking here. And season tickets are available at 2018 prices through Dec. 31, 2018, by calling at 541-752-5656, in person at the office, or online by clicking here. Aloha Knights alums Chris Stewart (2001) and Bud Norris (2005) are still free agents and eligible to sign with any MLB team. A catcher from Riverside City College who was our 2001 MVP, Stewart finished 2018 with Arizona after starting with Atlanta. A right-handed pitcher from Cal Poly, Norris pitched for St. Louis last season. 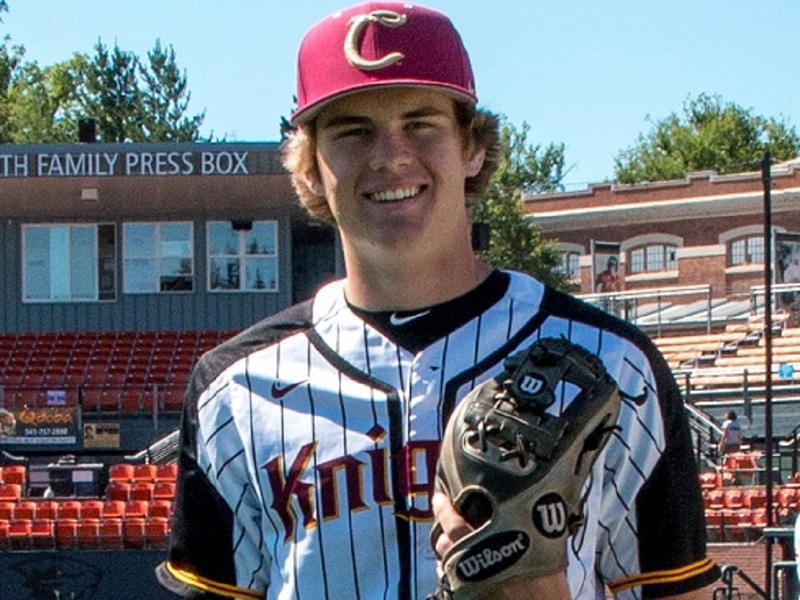 The San Francisco Giants removed right-handed pitcher Chase Johnson (2011) from their 40-man roster after assigning him to Sacramento in the triple-A Pacific Coast League. He is now eligible for the Dec. 13 Rule 5 draft. That’s all for today. Have a great week and we will see you on Dec. 5.